As a child I dreamed of having one of those plastic “pottery” wheels, wanting so badly to transform balls of mud into functional forms. 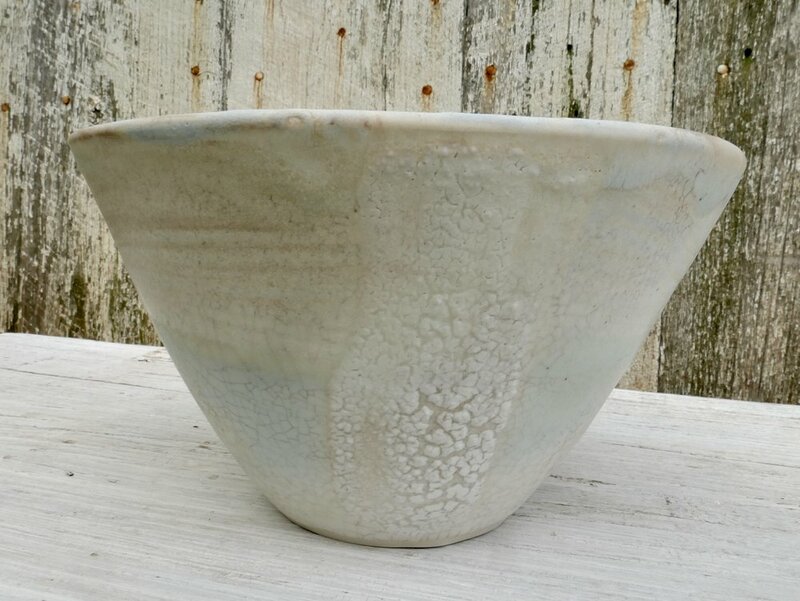 It wasn’t until I was in high school that I got my hands on some actual clay and sat down at a real potter’s wheel and made my first lump of a bowl. It was wonderful. I was in love! In college I indulged myself even more by majoring in Studio Art with a concentration in Ceramics. I spent every spare moment I had at the wheel, learning the art of centering and while attempting to make beautiful forms. 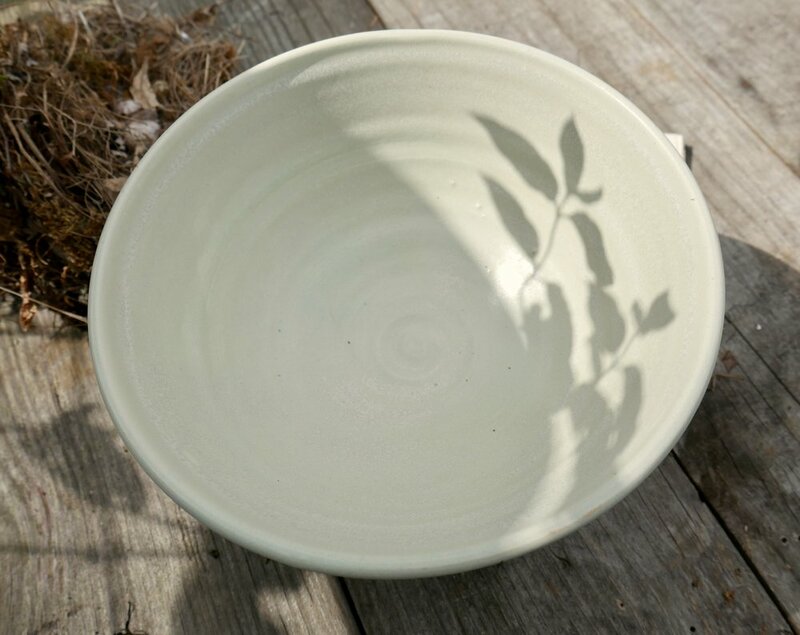 In 1998 I started my own pottery business and plunged into the life of a potter, making thousands of pots and schlepping them from art show to art show in hopes of make a living. It was not easy. 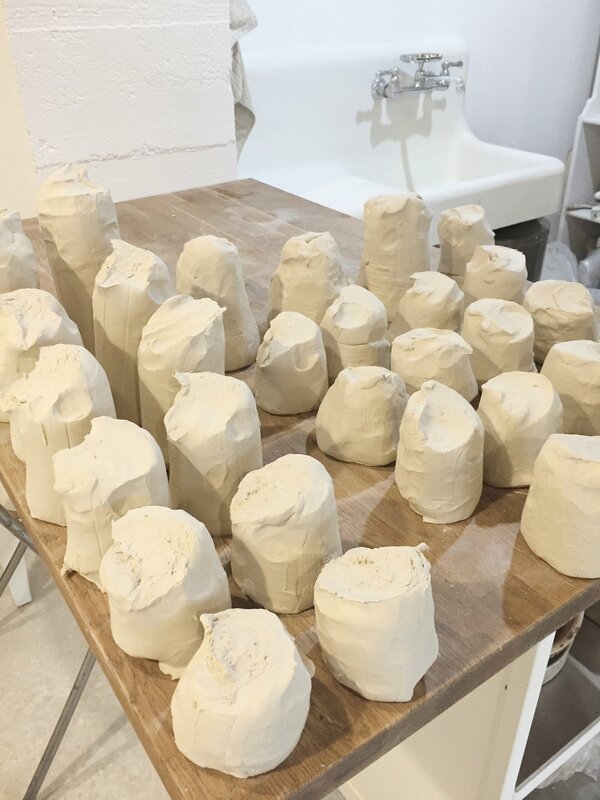 I did this for over ten years, dreaming of a lighter load, as I watched the painters, selling prints and packing up their booths in record speed while I wrapped up each piece of unsold pottery. Living in the depths of winter, having babies, and feeling like I needed a new creative outlet I decided to challenge myself to start painting again. It was around the same time the internet was coming to life. I started painting, journaling, collaging, and blogging. From there I started writing articles, teaching, and selling my paintings. I stopped making pots. I moved to a new state and my pottery life went into storage. 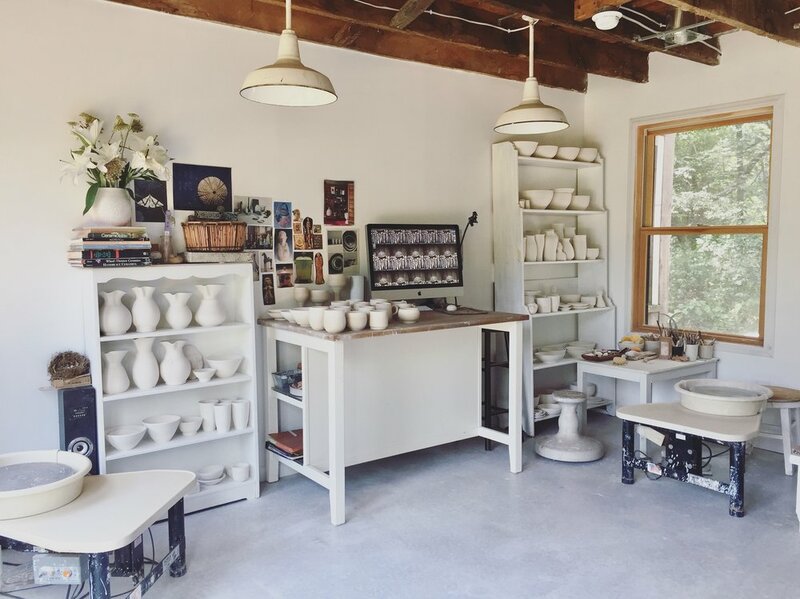 Years and many studios later I set up a new clay studio. This time, with as much passion, I am going about it differently. 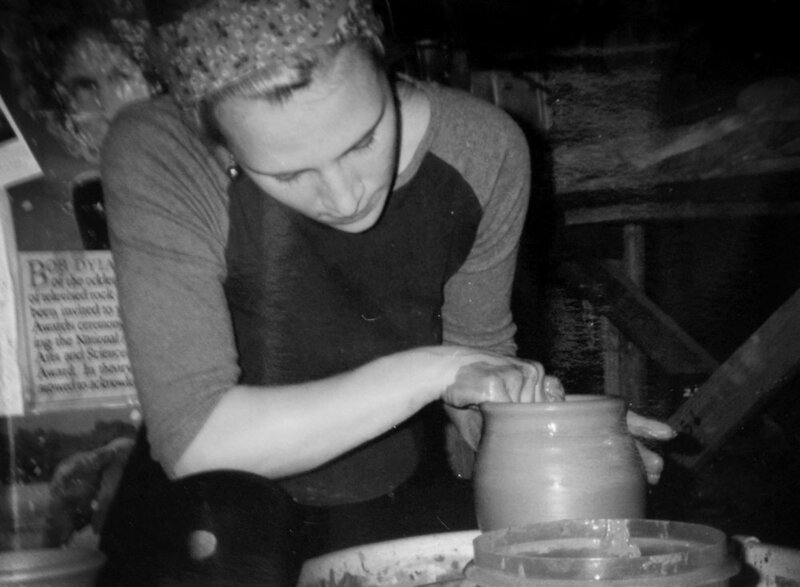 Making pots that deeply resonate with me and everything I have learned over my lifetime. My intention is to make pieces that want to be held, used, and treasured. 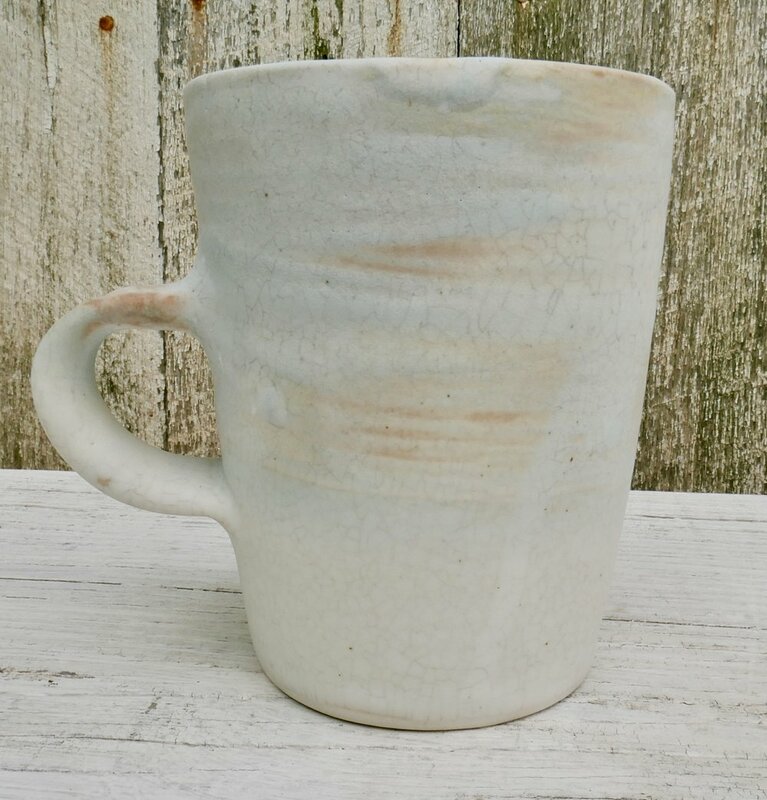 Each piece of pottery I make is one of a kind. 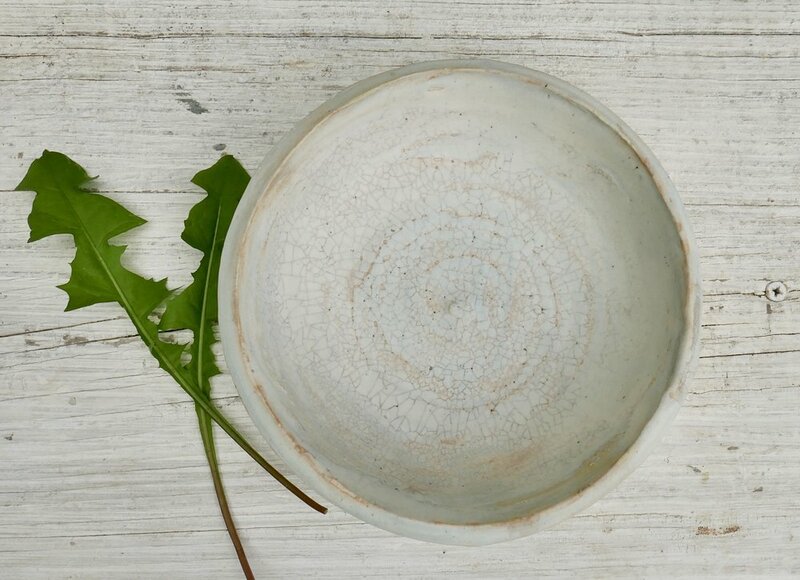 Wabi Sabi in every way. There are no flaws, just details. All pieces are completely safe for dinnerware. 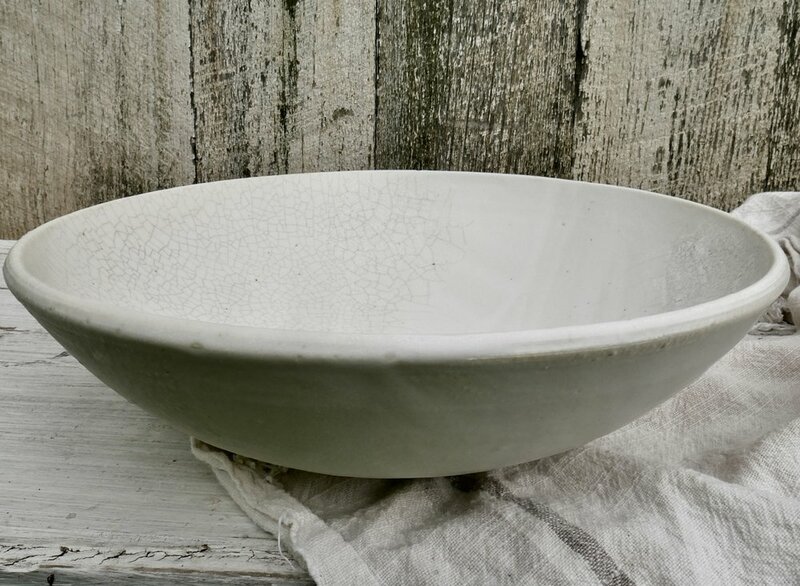 I do not use lead, barium, or any other harmful chemicals in my glazes.